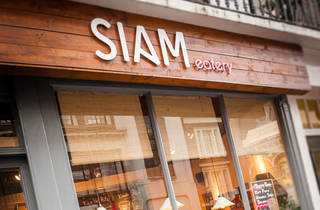 An independent Thai restaurant and take away on Wellington Street, in Covent Garden. If you want to eat well on the cheap in Covent Garden, you have to know where to look. But funnily enough, this great-value hole in the wall is right under everyone’s nose, close to several of Theatreland’s most prominent venues. 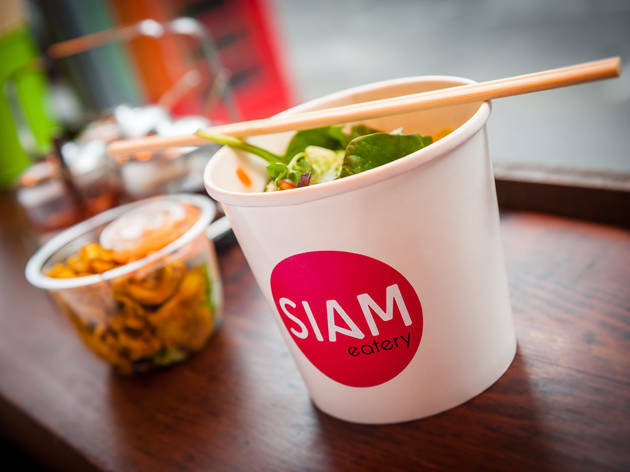 Although it only has a handful of stools, Siam does a brisk takeaway trade, serving generous pots of South East Asian classics, from tender beef massaman and flavoursome Thai red curries to spicy chicken panang with brown and red rice. The contemporary décor is minimal but nicely done – most attention centres around the bubbling hotpots and noodle soups on display behind the counter. Staff are endearingly friendly, the dishes arrive swiftly, and most orders weigh in at around the £5 mark. That’s not bad when a regular-sized portion will fill most people up for the rest of the day. 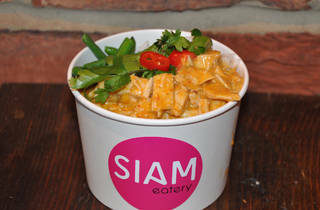 SIAM is amazing. 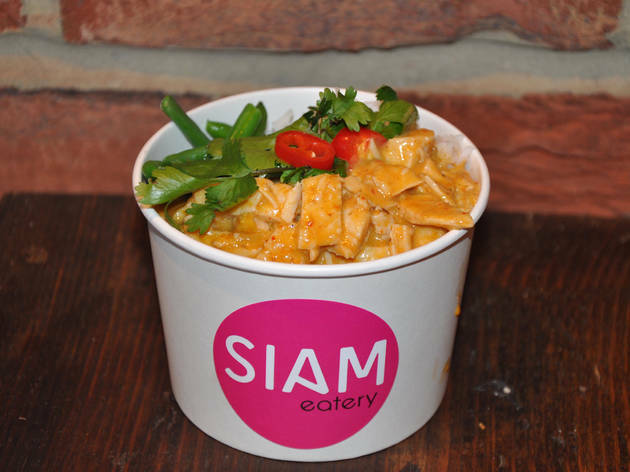 The tastiest Thai in town (even though it's mostly take-out) and ridiculously affordable. Panang Chicken is our office favourite, but the new specials are really delicious. Chicken satay salad is also really good. Fresh, tasty, homemade, what's not to like? This is a brilliant, tiny takeaway just outside Covent Garden - great when you want a decently priced, filling meal on your lunch break. There are usually three-four hot meal choices plus a fridge of fresh and tasty salads. 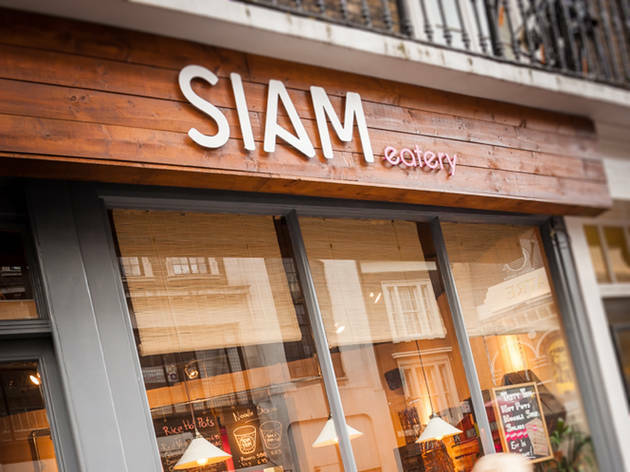 Siam is a fast food Thai restaurant in Covent Garden. It's more of a take away place, as it is small and offers only a few sittings. 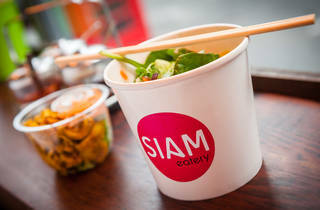 Good option for a quick weekday lunch, even though it's not the best Thai you can get. All the dishes are served with either normal or brown rice and they come in 3 different sizes. Prices are reasonable, all around £5. The service is efficient and quick which is exactly what you need during a lunch break.